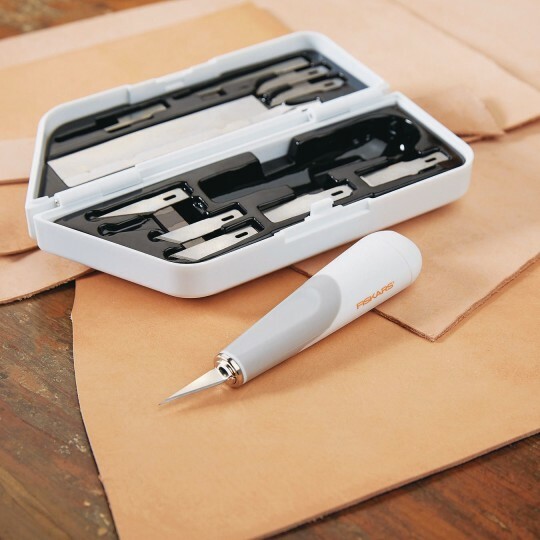 Precisely cut and carve a wide range of materials with a comfortable knife featuring a faster, simpler blade change. Cut paper, cardstock, thin plastic photos, canvas, and more. Softgrip touch points enhance comfort and control. Ergonomic handle for comfort. No-roll design, gives more control. Safety cap protects blade during storage. 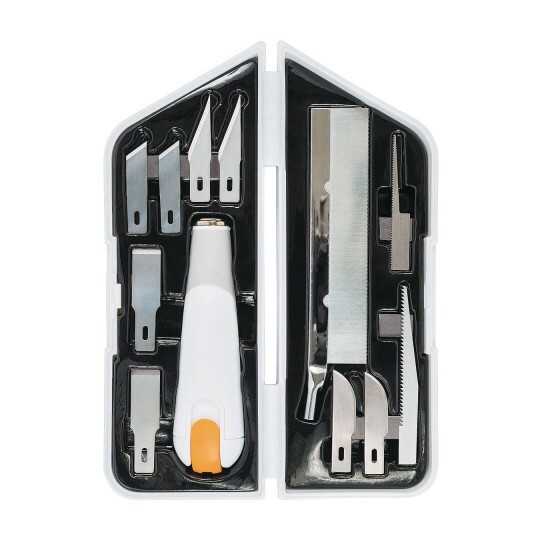 Plastic case holding an assortment of 12 blades: 3 standard #10 curved blades, 5 standard #11 blades, 2 #16 scoring blades, 2 standard #17 chisel blades. Full lifetime warranty.